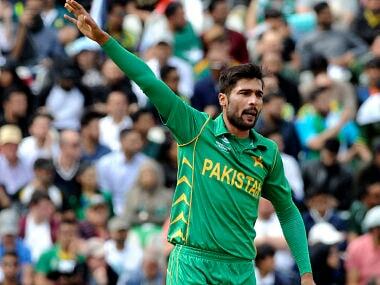 London: Pakistan fast bowler Mohammad Amir will play in the Champions Trophy final against arch-rivals India, coach Mickey Arthur said Saturday. Asked if Amir was fit and would play in Sunday's showpiece clash at the London ground, Arthur replied: "He's fit to play, and he will play." 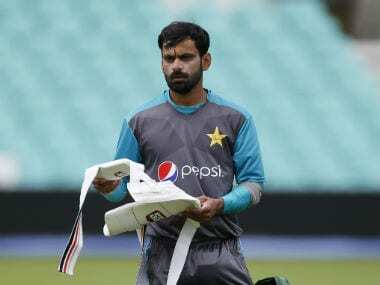 The 25-year-old left-armer missed Pakistan's shock eight-wicket semi-final win over tournament hosts England in Cardiff on Wednesday with a back spasm. But after bowling in the nets at the Oval on Friday, Amir told AFP: "I am fast gaining fitness. "I bowled in the nets and felt no discomfort and since we have one more day (to prepare) I hope the recovery will be complete," explained Amir, who took none for 32 in Pakistan's 124-run defeat by India in the teams' tournament opener at Edgbaston on June 4. "I look forward to playing as it's a big occasion," added Amir, now firmly back in the international fold after his career was halted by a ban and jail sentence for his part in a 2010 spot-fixing scam during a Test against England at Lord's. Amir, who took two wickets, including that of all-time batting great Sachin Tendulkar, when Pakistan beat India at Centurion in the 2009 Champions Trophy, starred with both bat and ball in Monday's crucial group stage victory over Sri Lanka in Cardiff. He took two for 53 in 10 overs as Sri Lanka were held to 236 and then made an unbeaten 28 as he and Pakistan captain Sarfraz Ahmed (61 not out) steered their side to a tense three-wicket win with an unbroken stand of 75. But he was hardly missed on Wednesday, with fellow left-arm paceman Rumman Raees, making his one-day international debut, taking two for 44 as England were skittled out for just 211. Amir, however, has once again become a mainstay of the Pakistan team since returning to the side early in 2016, appearing in 47 of the team's 57 matches across all international formats following his comeback. Those two wickets against Sri Lanka have been his only two of the tournament so far, however, albeit his economy rate is a respectable 4.79. After Friday's practice, Pakistan bowling coach Azhar Mahmood said of Amir: "He bowled today without any problem whatsoever. 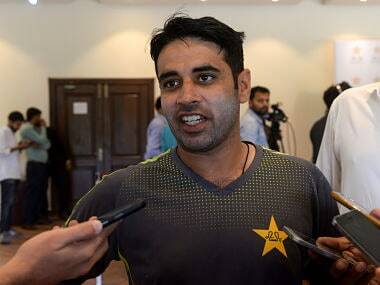 "The back spasm took two days to get over, and he's better now," the former Pakistan all-rounder added. 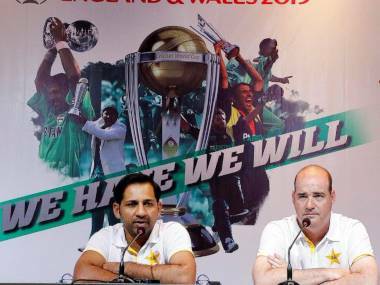 "We will go with Amir if he is fit."